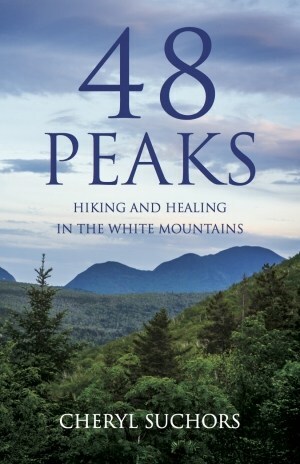 48 Peaks: Hiking and Healing in the White Mountains, by Cheryl Suchors, 2018. 48 Peaks is the compelling story of one woman's hiking journey through the forty-eight 4000-foot peaks of New Hampshire's White Mountains. It is also a meditation on life, loss, friendship and love. In the years after her first 4000-footer trek - a challenging loop over Mt. Tripyramid - the author loses her best friend and hiking companion to cancer, mourns for her sister, and survives her own grueling battle with breast cancer. But by returning to the mountains, again and again, she finds an exhilarating affirmation of life, and nurtures the bonds of deep friendship. When, a decade later, she makes her triumphal finishing climb on Mt. Isolation, we cheer along with her husband and friends. This book should provide inspiration for many a hiker as they embark on their own mountain journeys.320 pp., 5 1/2" X 8 1/2."